Murals are a visual representation of the values a community espouses. From homegrown signs to lavish and professional installations, these visual signifiers represent what we care about and how we want to be understood. 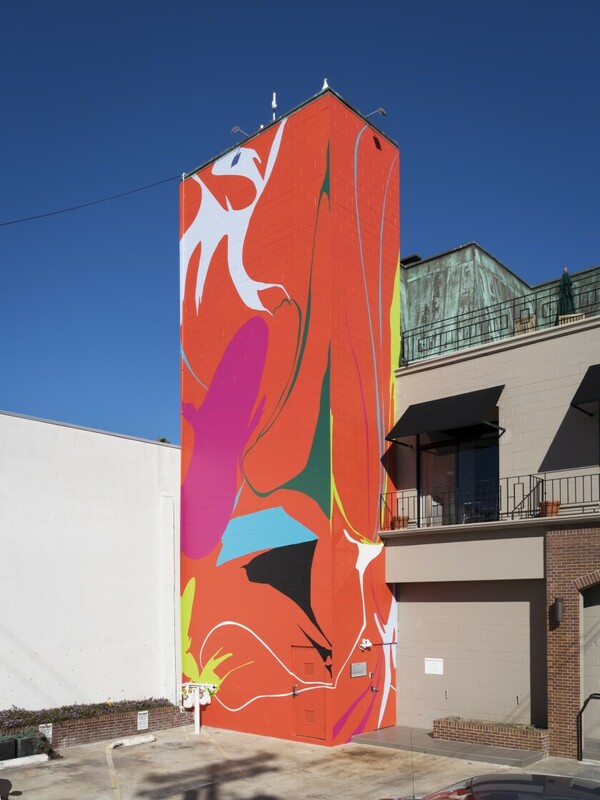 Founded in 2010, Murals of La Jolla was developed to enhance the character of the city by commissioning public art works on private property. This distinct program invites proposals from established artists to create original compositions that meet the public where they live and work, which may be the side of a local business or an apartment building. Over time, these contexts have become fodder for aesthetic conversation and a delight for those who pass through the city. 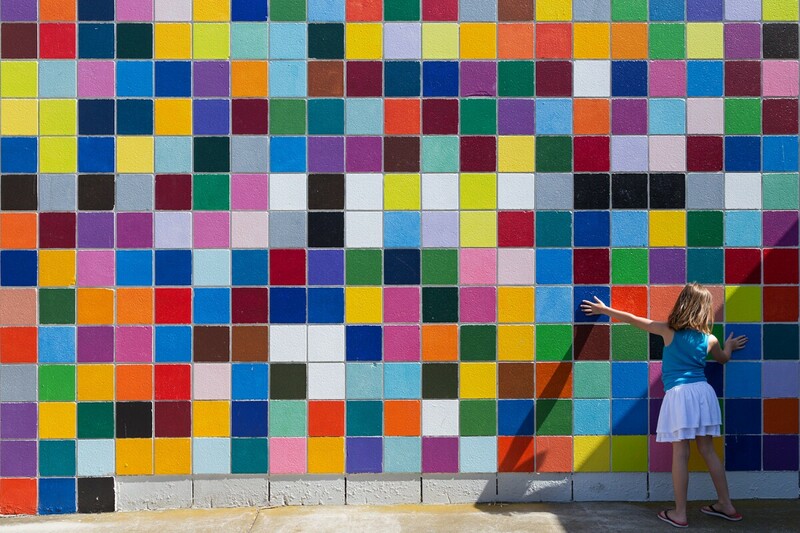 Nine years later, Murals of La Jolla has a successful track record of broadening the public’s understanding of contemporary art by introducing several new artworks to the streets and sidewalks each year. Here are 10 murals that demonstrate the growth of the program and the potential of public art. From abstract compositions to literal representations, these artists and their creations have collectively changed the way we think about these spaces and encouraged us to experience La Jolla in a deeper fashion. MURALS OF LA JOLLA: Kota Ezawa's "Once Upon a Time in the West"
Kota Ezawa’s massive “Once Upon a Time in the West” is a tribute to one of the most iconic and historically important pieces of architecture in San Diego. The profile of architect Louis Kahn is superimposed over a dramatic view of the Salk Institute that faces the ocean. The stylized and pop-inspired line drawing honors the strong forms and shapes that make up the landmark, while also portraying the architect as someone looking outward, as though he is considering what could be in the landscape that surrounds the mural. Location: 7905 Herschel Ave.
Murals of La Jolla: Ann Hamilton's "at sea"
Ann Hamilton’s massive piece “at sea” once occupied the same location as Ezawa’s mural. In Hamilton’s piece, a ship sails from left to right, out of focus and slightly upwards. Whether it’s exploration, purposefulness, or progress, the image is serious, and the green tint provides a sense of foreboding. Much more than a kitschy or emotional connection to a seaside city, this image is about navigating tough situations and the unknowable obstacles that one must maneuver to reach their goals successfully. 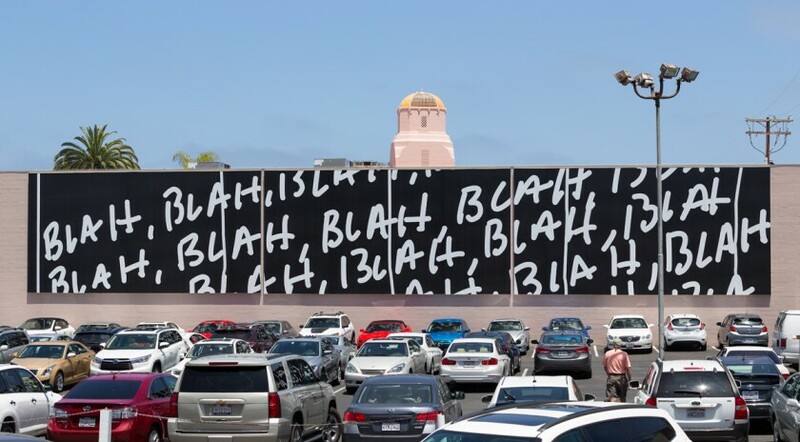 Murals of La Jolla: Mel Bochner's "Blah, Blah, Blah." 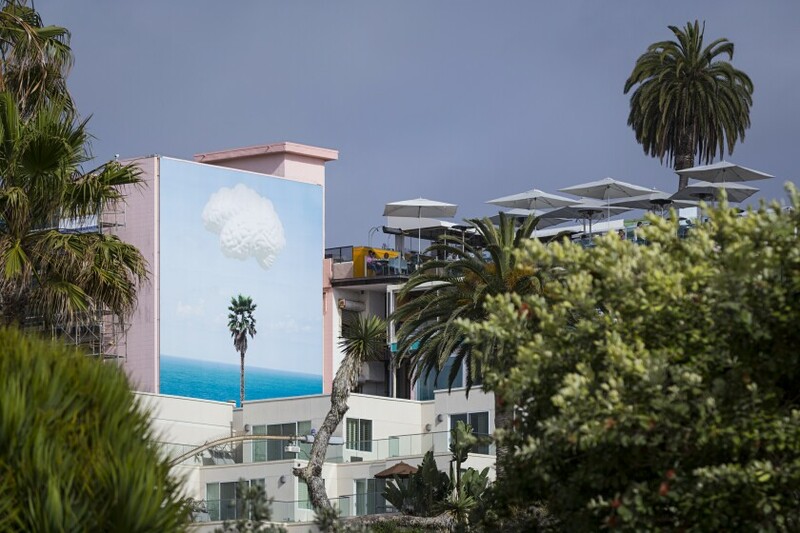 Murals of La Jolla: John Baldessari's "Brain/Cloud (with Seascape and Palm Tree)"
“Brain/Cloud (with Seascape and Palm Tree)” may be the most iconic public work installed by Murals of La Jolla. 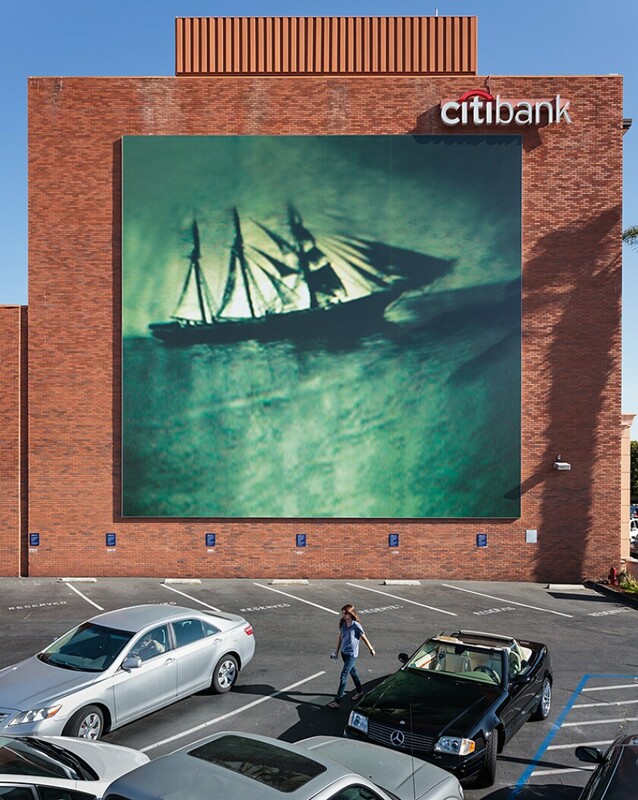 Conceived by John Baldessari, the image lines up with the shoreline when viewed from the adjacent buildings and conflates our ideal Southern California view: a lone palm tree set against a brilliant blue ocean. Baldessari’s use of found images combined with his sense of humor and serious penchant for reflecting on our human condition helps explain why a single cloud doubles as a brain. Whether it’s how we make sense of nature or a reference to dreams and imagination, these seemingly unique and individual images change meaning as they are juxtaposed with one another. Location: 1250 Prospect St.
Murals of La Jolla: Heather Gwen Martin's "Landing"
A large swath of electric orange paint climbs three stories to announce Heather Gwen Martin’s mural “Landing.” Breaking down the geometric rigidity of the building, the smooth and organic forms flow up and down the horizontal composition. Flattening two adjacent walls, the brick is transformed into a canvas that seems to float in front of the building that supports it. Colors change how we engage space and Martin boldly transforms this alley, parking lot and residential space that share in its effects. Location: 7724 Girard Ave. The temporality of murals is part of its uniqueness as a public art form. Catherine Opie’s “The Shores” — once at 7509 Girard Ave. — is a prime example of an act that emphasizes the necessity to see these works while they are available.. Utilizing the genre of landscape photography, the fuzzy image of surfers walking out into the ocean softly transforms into abstract imagery as it recedes into the distance. Our memories of the coastline fill these empty spaces, creating an image fueled with personal associations that make it uniquely ours. Murals of La Jolla: Roman de Salvo's "McCairn." 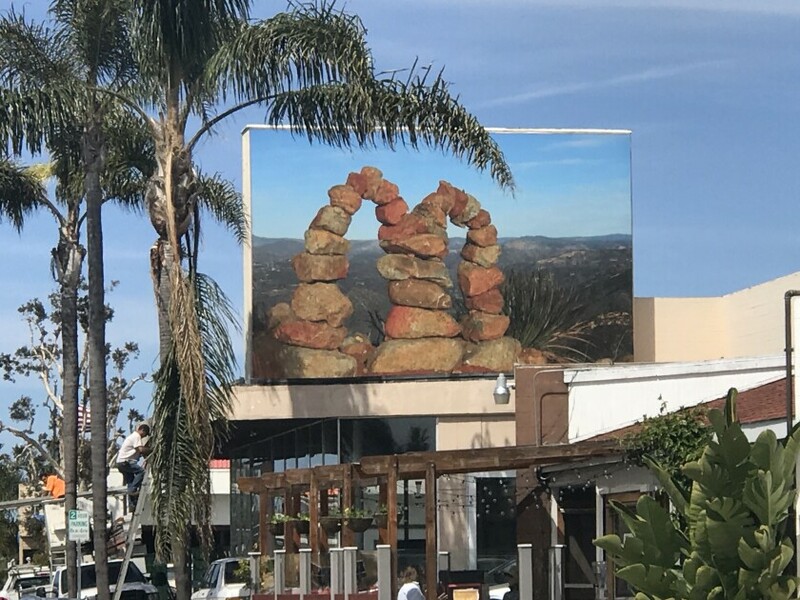 Roman de Salvo’s “McCairn” is the most recent addition to La Jolla. His ironic and wry image of the natural landscape depicts piled rocks forming the shape of an “M” in a font and design that we can easily identify as belonging to the McDonald’s brand. 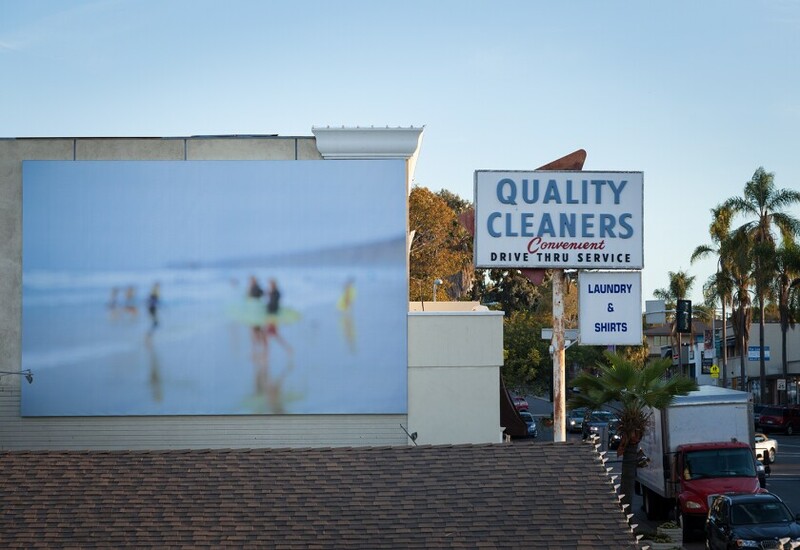 The printed image and its dimensions are akin to an advertisement or billboard as it is situated atop a car repair shop, furthering the confusion and purposefulness of his work and the aim of Murals of La Jolla in expanding aesthetic awareness. Location: 5535 La Jolla Blvd. 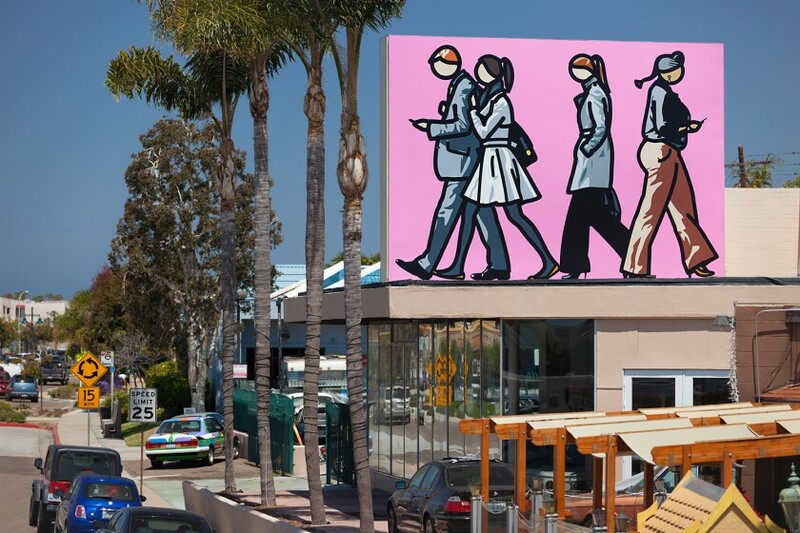 Murals of La Jolla: Julian Opie's "Walking in the City"
Billboards as murals are not new to the Murals of La Jolla program, and “Walking in the City” (2013) once occupied the spot where “McCairn” now lives. Julian Opie’s mural was also double-sided and featured several stylized figures walking in opposing directions. Inspired and drawn from the observations at street level, these figures towered above La Jolla and functioned as a signal that this is a pedestrian area best traversed and experienced on foot. 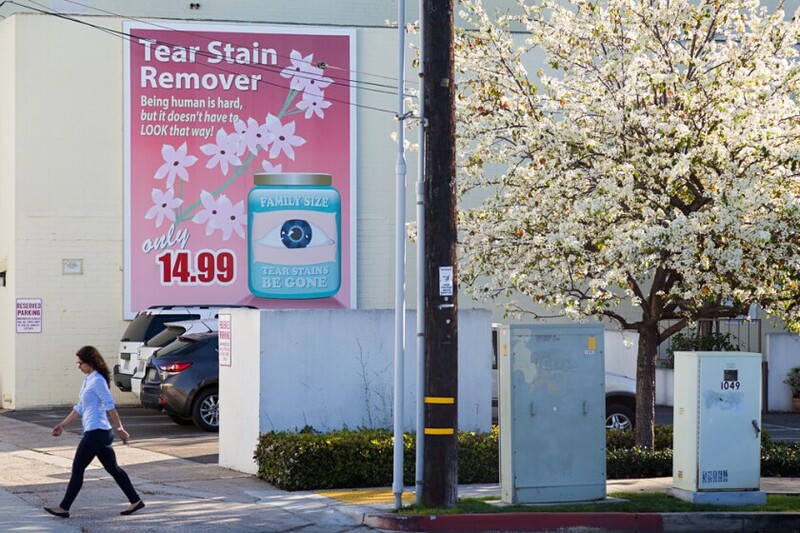 Murals of La Jolla: Jean Lowe's "Tear Stains Be Gone." are important aspects in life that are impossible to purchase. 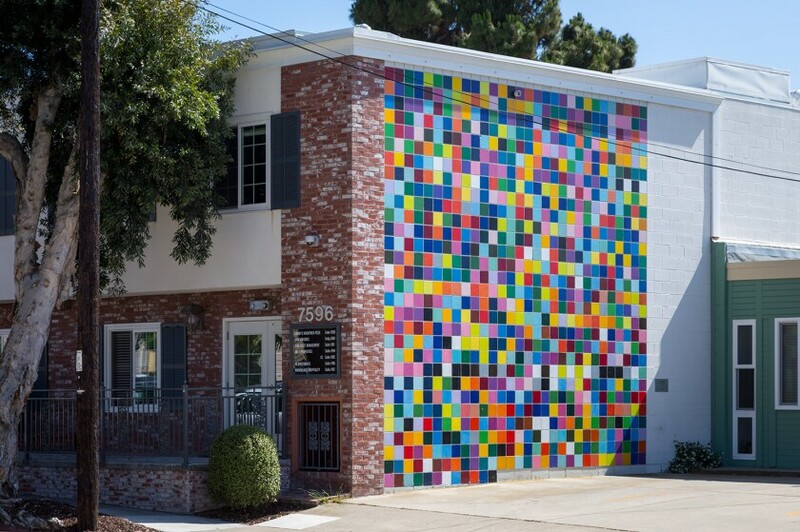 Location: 7661 Girard Ave.
Murals of La Jolla: Roy McMakin's "Favorite Color." Roy McMakin’s “Favorite Color” may win an award for appearing in the most social media posts since it was painted. A representation of favorite colors selected by hundreds of participants, the conglomerate of images is woven together in a grid of happiness. The lively, cheerful, and mostly bright colors are distinct from one another, showing elements of diversity, yet reaffirming that such an array of preferences can work together. Part social experiment and part design thinking, the result is a playful and positive experience. Location: 7596 Eads Ave.
Public art is an invitation to think about our surroundings and how they impact us. There are a lot of people and things vying for our attention, but Murals of La Jolla is a kind of respite: an alternative to the visual clutter that begs for deep questions and close observation. 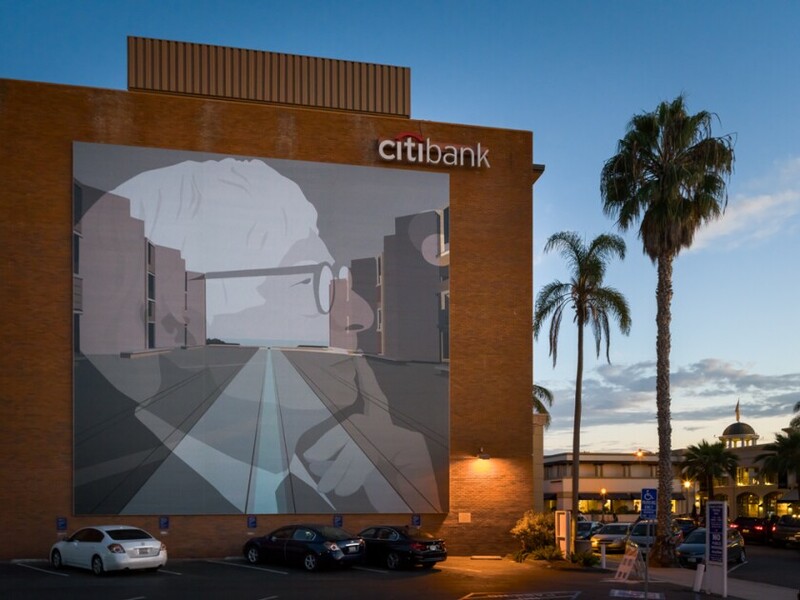 This time spent thinking about the city, its aesthetics, and how these images complement or contradict the environment makes for a rich and rewarding experience that will continue to evolve as Murals of La Jolla begins its second decade.